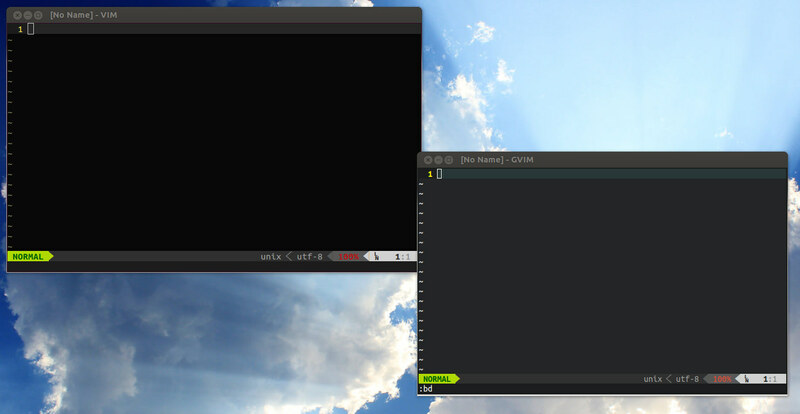 I installed the new (Vim) powerline with Vundle. Only thing is they provide a limited number of pre-patched fonts. In the previous version I didn’t bother because I found powerline quite nice looking even without the patched fonts. But the new version (wich is built with Python) didn’t quite look good without patched fonts. I decided to patch the default Ubuntu Mono font (which I really like) and use that. With the awesome documentation I patched the fonts in no time. Also I decided to try to get the patched fonts into the mailine powerline repository. I cloned the powerline-fonts repository made the changed and issued a pull request. I hope it gets accepted! Everything is working great now. Thanks to Ubuntu for creating an awesome font.